A New York Times bestselling and Michael L. Printz award winning author, Green is known both for his precocious characters and his accessibility and familiarity with his reading community. Both of these facets lay the foundations for one of this book’s most redeeming qualities. Green writes intelligent characters in an intelligent way. Unlike many Young Adult authors, rather than talking down to his audience, stooping down to what he perceives to be their level, he writes honestly and with the expectation that his teenage audience will rise to meet him. And meet him they do; Green has built a passionate fan base that thrives on the challenges he sets them. Those fans catapulted The Fault In Our Stars to the top of Amazon’s charts before the book was even released. The title can now be found on the New York Times Bestseller list, Booklist, and even on the UK Bestseller charts, where he does not even have a publisher. In return for their dedication, or possibly in a moment of sheer marketing brilliance, he followed through on a promise to personally sign every single copy of the first printing. Signed copies can still be found on bookshelves at any major retailer. 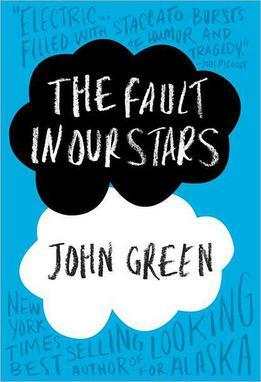 The Fault In Our Stars, or TFIOS as Green has taken to calling it through his various social media channels, is both more and less than the sum of its parts. It is an intelligent, thoughtful and worthy addition to any Young Adult bookshelf. It defies the demographics of its genre, and is recommendable to adults as well as teenagers, making it a perfect book club, family or classroom selection despite or even because of its admittedly depressing subject matter. It does fall victim to a few pitfalls of its genre, namely predictability. I knew what the ending would be from about page six, though due to Green’s excellent characterization, knowing did not in any way dim the gut-wrenching and altogether transcendent quality of the ending. ← how the hell do people write personal essays?